Ramadan is a time when participants practice personal introspection, prayer and fasting. Ramadan begins for a full month on 5th May. It’s a time when participants practice personal introspection, prayer and fasting. During this time, Muslims are expected to fast from dawn till dusk each day, until the end of the month when Eid celebrations begin. Throughout Ramadan, Muslims within our community focus on charitable acts as well as understanding and supporting those who are less fortunate than themselves. It is a time to reflect and empathise with people who may be poor or hungry. In fact, Zakāt – or the paying of alms to benefit the poor and less fortunate is a one of the Five Pillars of Islam which is especially important during Ramadan. The Welcome Centre has been the recipient of many of these donations over the years, from groups such as Ahmadiyya Muslim Youth Association and Women Associations. We have been incredibly grateful to receive donations of both money and food from mosques across Kirklees including Markazi Jamia Masjid Riza , Masjid Umar Mosque, Masjid-e-Noor Mosque and more. The support of our community throughout the year ensures that we are able to open our doors each day and support those in need. 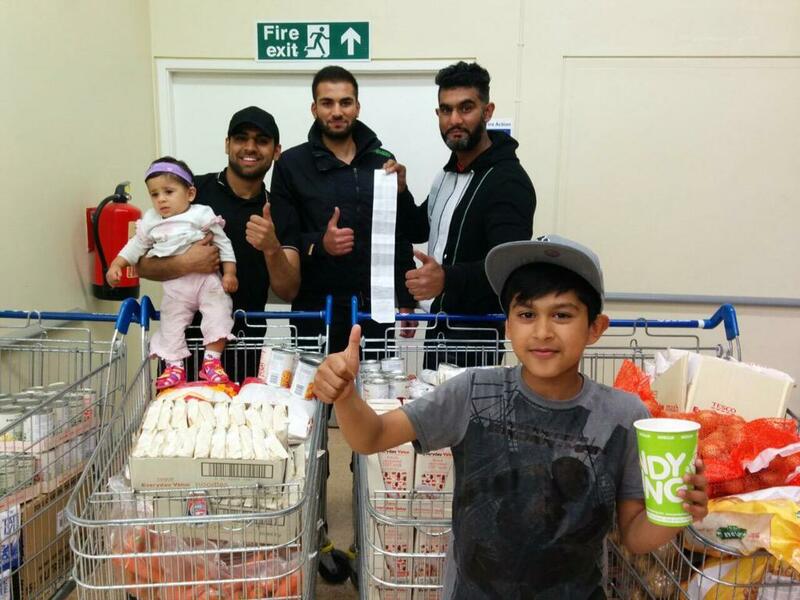 For any groups who are looking to donate food items during Ramadan we have a list of shortages. Alternatively financial donations are appreciated to enable us to purchase the stock we need. You can make a donation here.